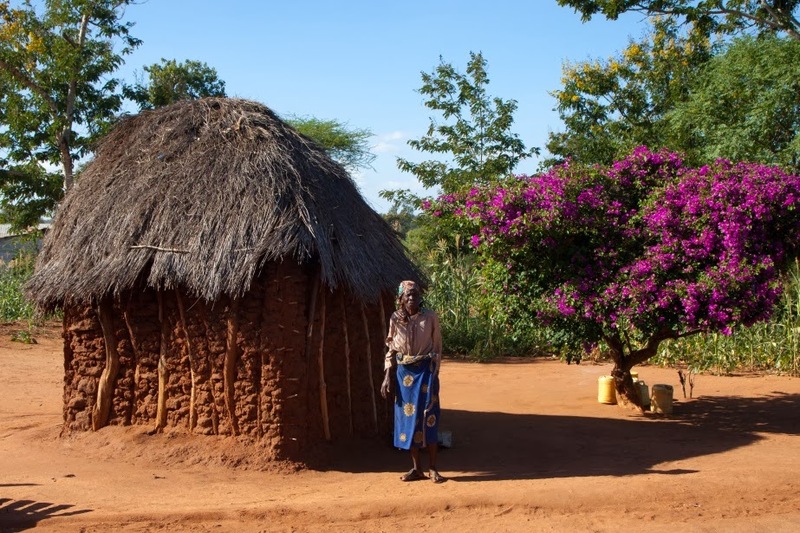 There are days when I pat myself on the back and feel a little pride that Becky and I are spending our retirement years and retirement money to share the good news of Jesus Christ with the poorest of the poor in East Africa helping to provide for BOTH spiritual AND physical needs. I see people in America that give to help those in need and, like me, rightly feel good about their giving. As for my possessions, my western way of thinking dominates. I worked for it. It’s mine. God has blessed me and so I willingly share a portion. But when is giving enough? Many of us wrestle with this question. Now I know that we are saved by the grace of God through our belief in the Lord Jesus Christ and his sacrifice on the cross and not by works. But this scripture tells us something about the heart of God and how He wants us to live our lives. Didn’t Jesus tell us that the greatest commandment is to love God and the second is like it which is to love our neighbor? The people of the early church had no lack because those who had shared with those who did not (Acts 4:34). As Christians in America today, we really don’t live like that. But elsewhere in the world, they still do. This is a message that I received on December 19, 2013 from a Kenyan man that I work with. Check out our previous blog “Someone We Won’t Forget” dated December 22, 2013 for more information about 13 year old Musembe (in photo) who has AIDS. 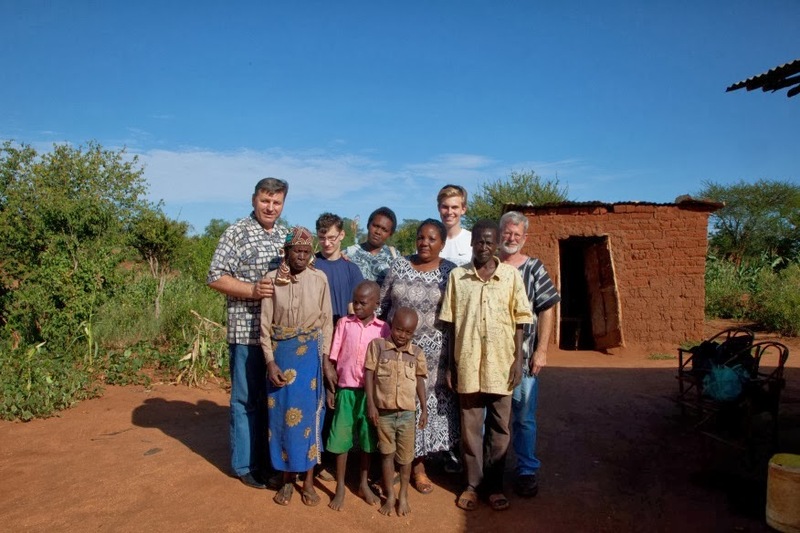 Burning Plow Ministries and a Kenyan church work together to periodically supplement the family’s meager food supply. This man spent his family’s Christmas money to help someone else who was in need. He has very little himself. He has no car, no motorcycle, no bicycle and walks or takes public transportation wherever he goes. His Christian beliefs are part of his very fiber in everything he does. This makes me feel a little ashamed and inadequate. And don’t forget to continue to pray for Musembe. In June, 2013 Don wrote the following about a very special young man. I want to share it with you today and then post an update. 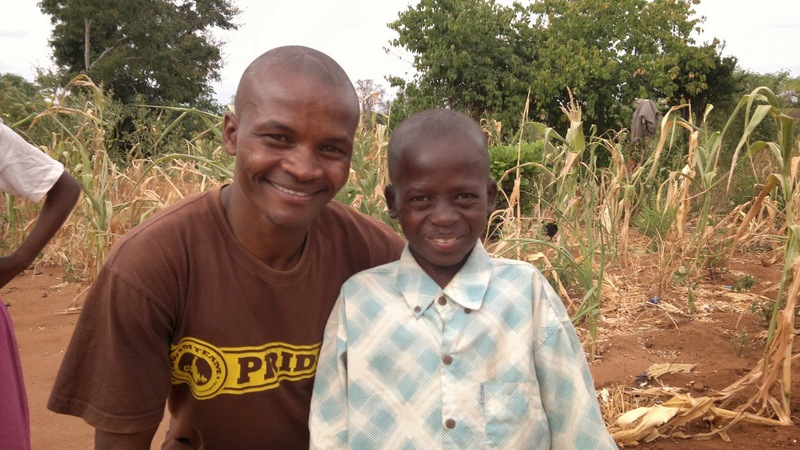 Musembe Massai is 13 years old. He has AIDS as does his father, Massai Kyusya. His mother died of AIDS six years ago. He lives out in the country many kilometers from the nearest village. He is in 5th grade and walks to school each day. In this photo he is with my good friend and co-worker, Pastor Shadrack Maunda. 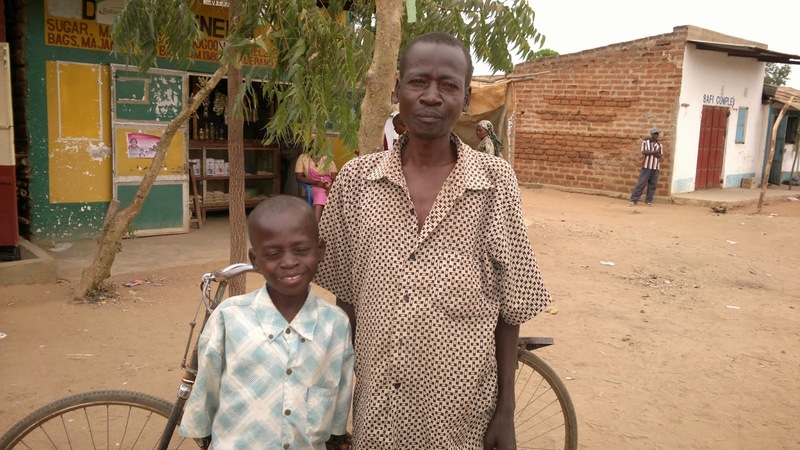 His family has no regular income and finding food is difficult. At times, Pastor Shadrack's church in Kibwezi is able to buy food for them. Getting the food the 10 or so kilometers out to the family is usually an obstacle because the church also has to raise the funds for public transportation to get to the boy’s home. Burning Plow Ministries is at times able to help with the food and transportation. In fact when we are in that part of Kenya we have been able to buy food and take it to them in our car. The father’s bicycle is their only transportation other than walking. The bike was well worn and needed tires, brakes, pedals, a new seat and a new carrier on the back. In other words, he needed a new bike. When we were back in the area in August we bought a new bike and took it out to the family. This is some of the opportunities God gives us to help those who can not help themselves. 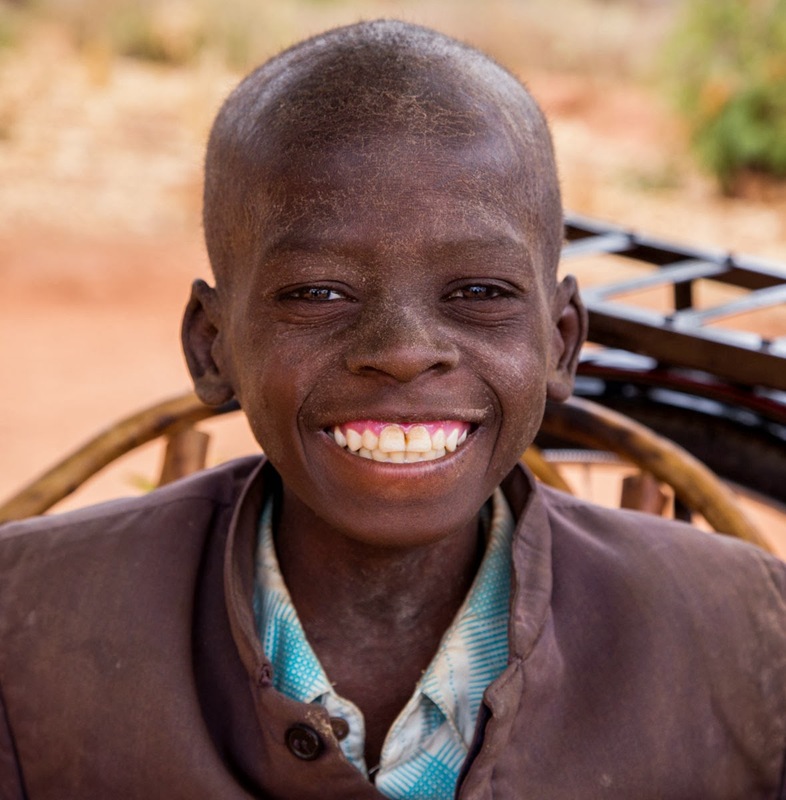 Thank you for helping us help people like Musembi and his family.